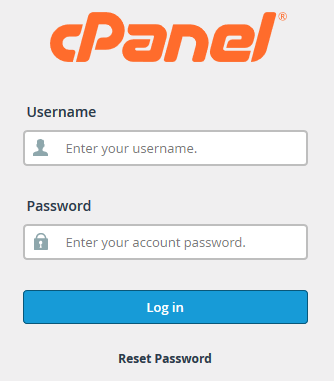 In this tutorial, we will show you how to log into your cPanel. Since there are several ways to access your cPanel, we will cover how to log in directly then via AMP and WHM. From cPanel you can do everything from installing WordPress to creating email or FTP accounts. Do you need help in saving time in order to focus on the development of your client websites? Check out the Managed Hosting solutions from InMotion Hosting. Click the cPanel button for your account. You can change your cPanel style as needed. Navigate to your website with "/cpanel" added to the end of the domain name. Be sure to replace example.com with your actual domain name. You will then be on the cPanel login page. Enter your cPanel username and password, then click the Log in button. You can view your cPanel username on your Account Technical Details page, and change your cPanel password as needed. 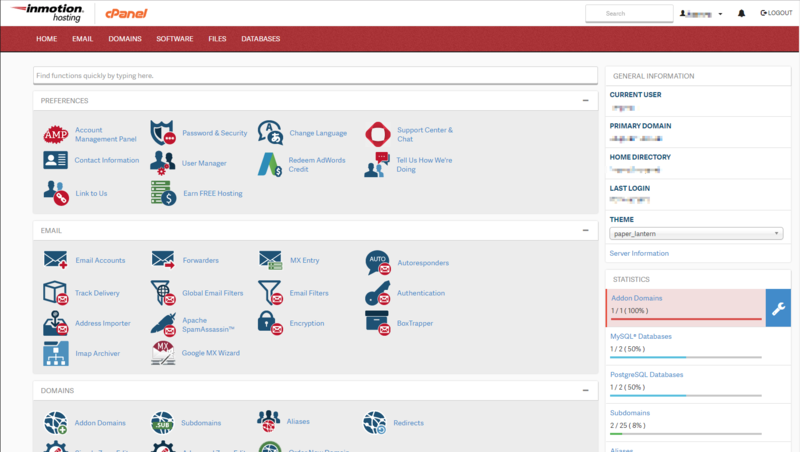 You also have the ability to access cPanel accounts directly from WHM. This is covered in the following walk-through guide. Congratulations, now you know how to successfully log into your cPanel!